You are here: Home / All posts / What makes dads involved in childcare? In most countries, mothers spend more than half the amount of time on childcare than fathers. In the UK, dads spend an average of 24 minutes caring for children for every hour that is done by women. However, most dads agree that they should be as involved in childcare as the mother, and many would prefer to spend more time caring for their children than they currently do. Here, Dr Helen Norman and Professor Colette Fagan discuss why childcare responsibilities are still so unbalanced, and what could be done to improve work-family policy for parents. So why are childcare responsibilities still so unbalanced? One explanation is to do with how work-family policy has been designed. Traditionally, work-family policy in the UK has focused on helping mothers rather than fathers adapt their employment hours and schedules after having children. Mothers can take up to a year of maternity leave whereas fathers are limited to two weeks of paternity leave. Even though both parents have the right to request flexible working to fit in their caring responsibilities, men are less likely to make a request and are more likely to get their request rejected when they do. Childcare is expensive in the UK – equivalent to 41% of the average wage – which discourages the lower earner (usually the mother) from going back to work after having children because it isn’t financially worthwhile. The statutory free childcare entitlement only covers 15 hours a week over 38 weeks of the year for children aged three and four (and some two year olds from disadvantaged backgrounds). Not only is it difficult for mothers to find a job which is compatible with these hours, there is a childcare gap between the end of maternity leave and the start of the free provision. Have the recent improvements to parental leave helped fathers to get more involved at home? Shared Parental Leave (SPL) is a new right that was introduced in 2015 allowing parents to share up to 50 weeks of leave and receive statutory pay previously only available to the mother. This is a step in the right direction because it is a policy which recognises the importance of a father’s role at home. However, only a minority of fathers are taking it up, mainly due to the cost and complexity of it. What else influences fathers to be involved? Our research found that the way in which family and work-time is arranged, during the first three years of parenthood, is important. We used the UK’s Millennium Cohort Study to explore what influences fathers to share childcare roughly equally with their partner. We found that fathers were more likely to share childcare when the child was aged three if they shared childcare equally with the mother when the child was nine months old, even when we took account of other factors which may influence this such as the presence of other children, attitudes towards work and family roles and the father’s occupational class. The employment hours that parents worked when the child was nine months old also affected how involved a father was when the child reached age three. Fathers were more likely to share childcare when the child was aged three if the mother worked full-time, and if the father worked standard (30-40 hours per week) rather than long full-time hours (48+ hours per week). This suggests that work and care arrangements established in the first year of parenthood set up a pattern of care-giving that persists two years later. The way in which parents organised their work-time when the child was aged three also affected how involved a father was at that time. We found that a father was more likely to be involved when the child was aged three if he worked standard rather than long full-time hours when the child was aged three, and when the mother worked full-time. What does this mean for UK policy? If the policy goal is to enable fathers to be more involved at home, it is important that work-time adjustments can be made from birth onwards. Creating the conditions for the father to take paternity and parental leave is pivotal, as are fostering working hours for men which are more compatible with family life. We are more likely to achieve this if parental leave entitlements for fathers are improved beyond the current limited provision available through the SPL policy, there is more effective implementation of the ‘right to request’ flexible working in workplaces for men as well as women, and there are measures to reduce long full-time working hours, which characterise many of the jobs and workplaces that men are employed in. Policy should also provide the conditions to help mothers make a smooth resumption of employment after childbirth given this is conducive to a more gender equal parenting arrangement. Good quality, affordable and flexible childcare is critically important, as well as addressing the gender pay gap because this increases the probability that the father can earn more than the mother, which creates a short-term financial logic for the father to invest his time in employment and the mother to leave employment or switch to part-time hours to care for young children. This is a summary of a longer briefing by Helen Norman and Colette Fagan, published by Working Families). 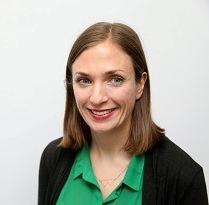 The blog is based on an ESRC-funded project (2016-17), which Helen is leading with Professors Colette Fagan and Mark Elliot , to explore what influences paternal involvement in childcare as children age from nine months to eleven years old. Helen is a Research Fellow in Sociology at the University of Manchester. Her research focuses on fathers and fatherhood, the gendered division of labour and gender inequalities in work and family life. 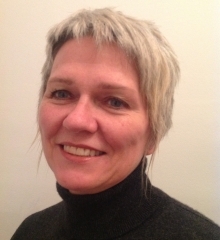 Prof Colette Fagan's research focus is on work and employment, with particular interests in gender relations and inequalities in the workplace and domestic life. She is also a coordinator of the European Commission's Expert Group on Gender, Social Inclusion and Employment.